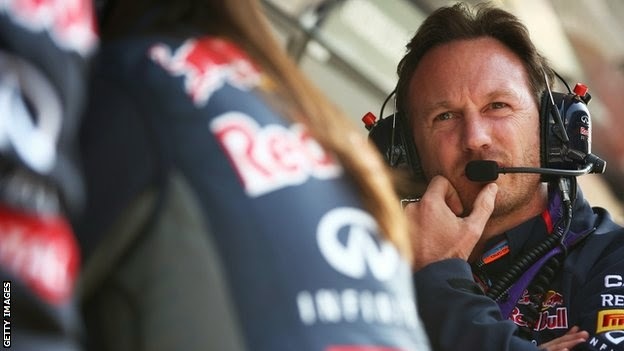 The was double delight for the Team in an incident-packed Hungarian Grand Prix as Daniil Kvyat took his first career F1 podium finish with second place and Daniel Ricciardo landed his first podium of the season in third. 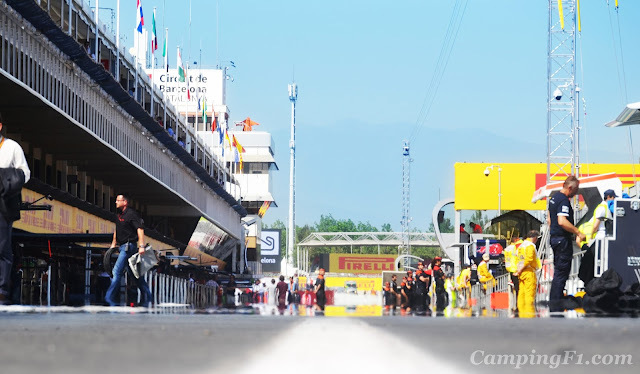 The CampingF1 Team would like to thank all of our guests who have joined us at the Spanish, Monaco, Austrian and British Formula 1 races in 2015. 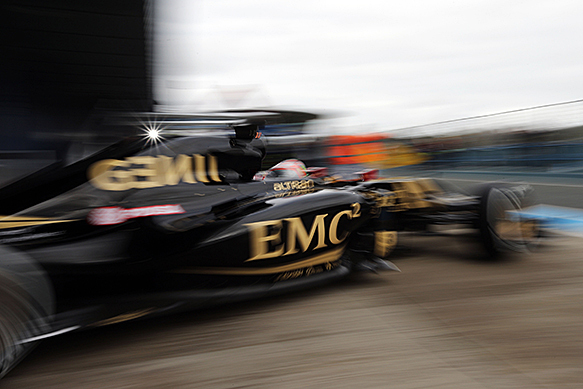 So far we have been blessed with sunshine, thunderstorms and some spectacular racing action too! 10% off all website prices for returning guests, call to book. Extra SAVINGS! 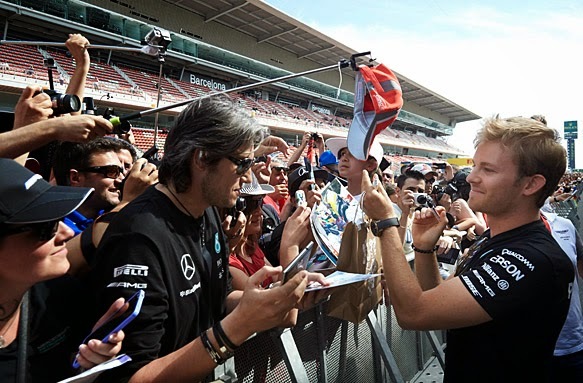 A MASSIVE 15% off website prices for the 2016 Spanish Grand Prix*. 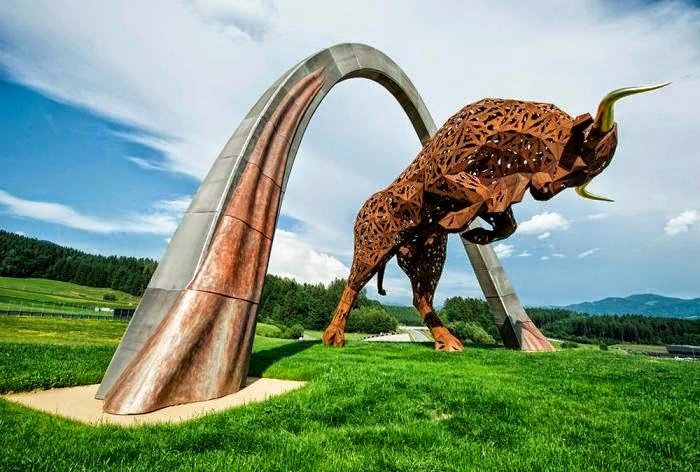 If you fancy an unforgettable trip abroad we can offer amazing deals on camping, race and ferry ticket packages for the 2015 Belgian and Italian Grand Prix. Be sure to follow us on Twitter, Facebook and Youtube to stay up to date with all our latest offers and to spot yourselves in our photos and videos. * Offer valid for a limited time only. Not to be used in conjunction with any other offer. 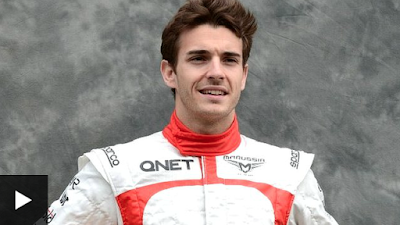 The world of motorsport has bid farewell to French Formula 1 driver Jules Bianchi at his funeral in his hometown of Nice. The latest must have is an ideal centre piece for larger parties or simply to provide luxurious private accommodation. 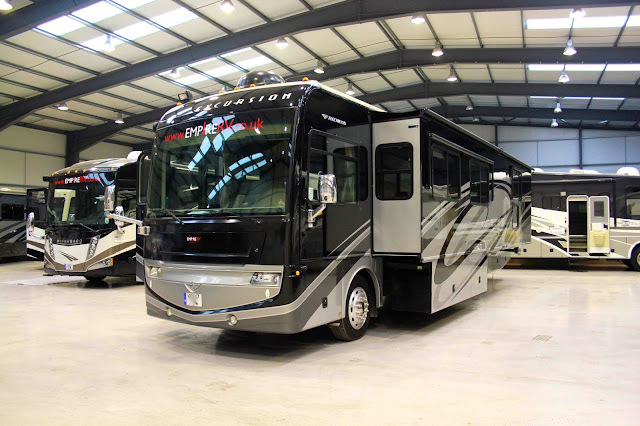 Call Empire RV who can advise you on their fleet of modern RV's. 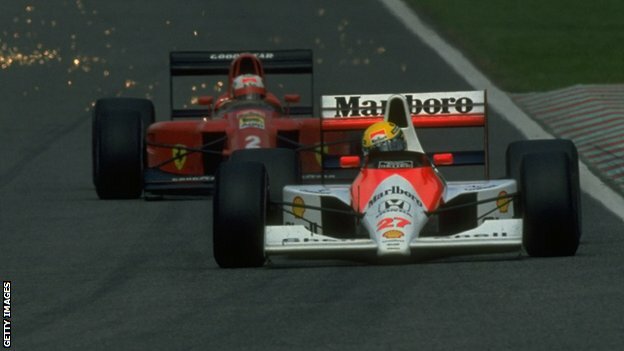 Lewis and Sir Stirling Take On Monza! 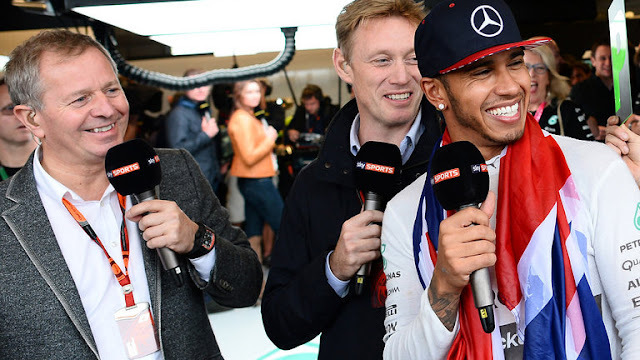 - YouTube:Lewis and Sir Stirleing Moss Take on Monza! 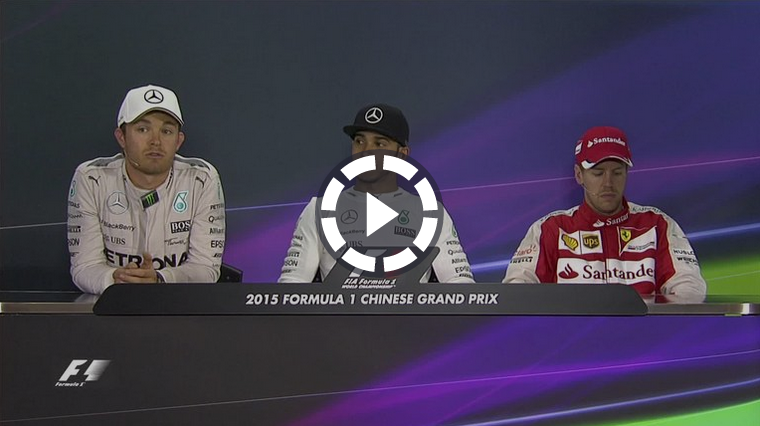 BBC Sport - Formula 1: Have drivers ever raced flat out? 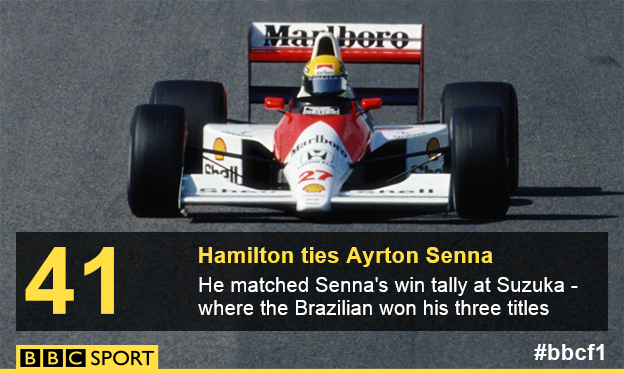 Spanish Grand Prix - The European Formula One season began today at the Circuit de Barcelona, Catalunya. 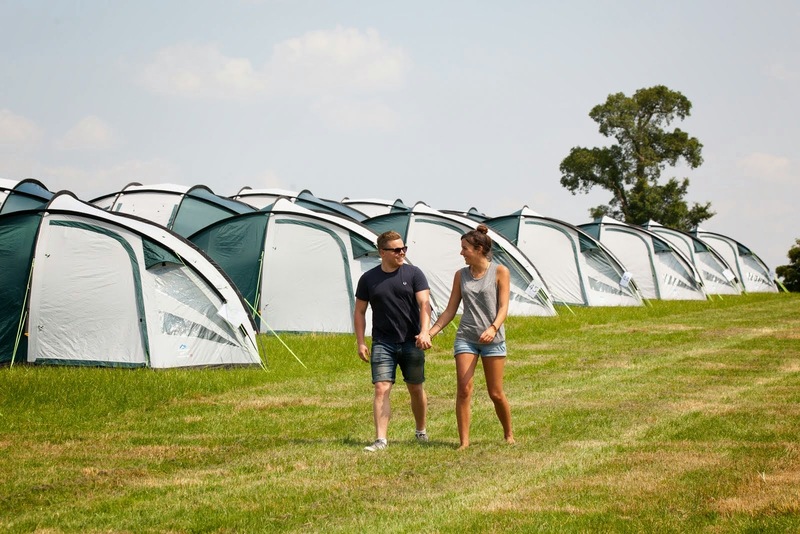 Our exclusive CampingF1 site is located within the official circuit campground, just a short walk from the circuit entrance. Our staff are onsite 24 hours to assist you and ensure you have an enjoyable weekend. 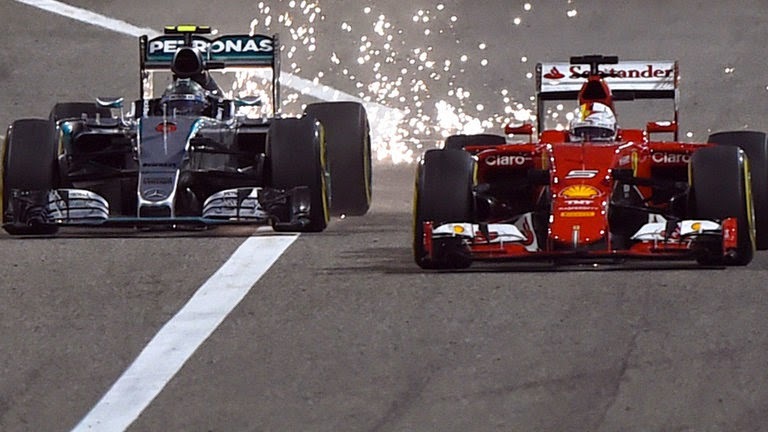 Monaco Grand Prix - The Grand Prix of Monte-Carlo is the second stop on the CampingF1 calendar. 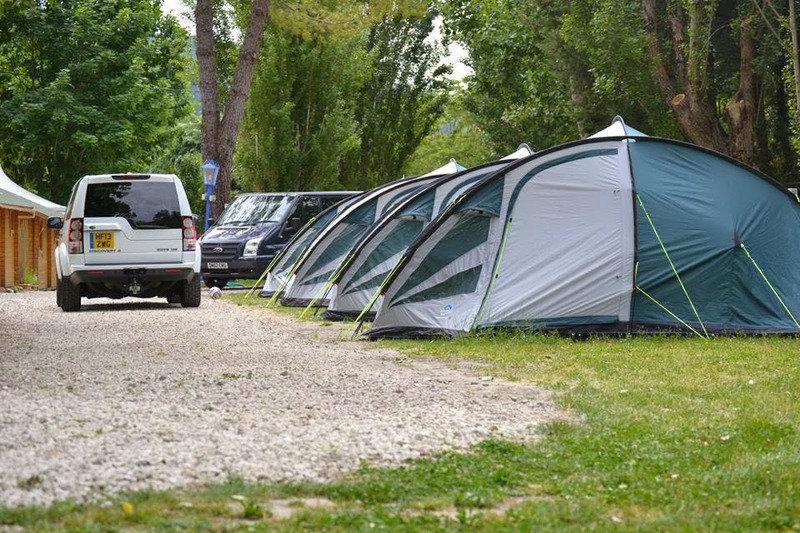 Our campsite is situated in the peaceful mountain village of Peillon, just a short drive over the mountain to Monaco. 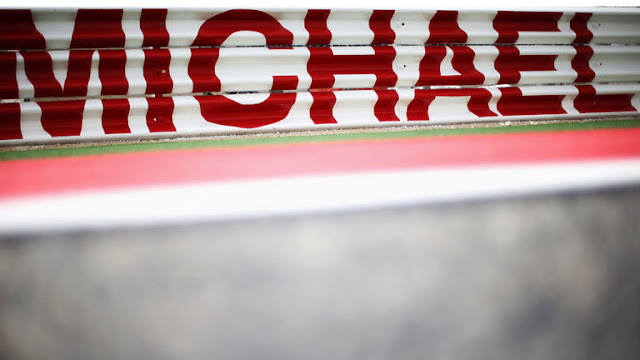 Usually associated with an expensive price tag, we can make your break very affordable with competitive prices for your accommodation and race tickets. Transport is provided into Monaco each day and evening and on Saturday night we will be hosting a free BBQ for those who want a relaxed evening before the big race on Sunday. 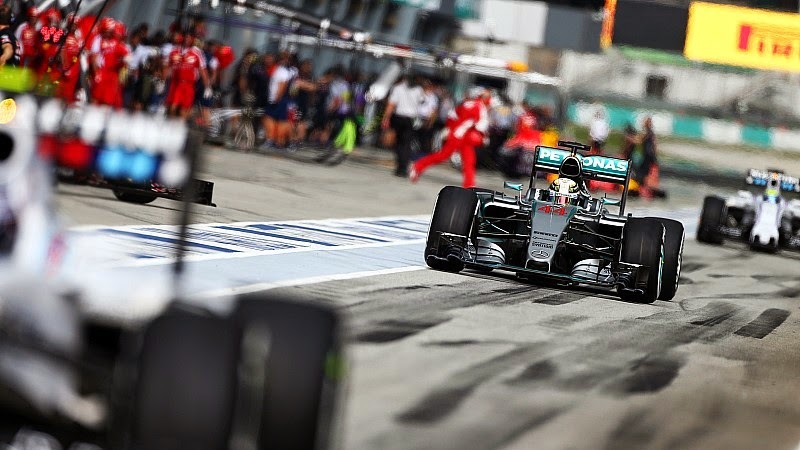 Austrian Grand Prix – Next on our calendar is our new campsite for 2015, the Austrian Grand Prix at Spielberg. Our exclusive CampingF1 site is located within the official circuit campground close to all the action. In 2014, Red Bull created an amazing event off track with concerts, the X-fighters show, air displays and plenty more visitor activities and we expect you to be able to enjoy all of this again this year. 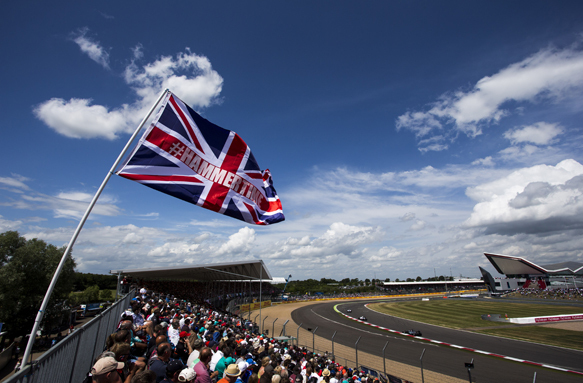 British Grand Prix - Next we head to our new site in Silverstone for the British Grand Prix, complete with marquee, bar, live entertainment and onsite catering. On Friday evening, our live band will be on stage to kick start the weekend! Be sure to be in the marquee Saturday night, as Eddie Jordan and the Robbers take to the stage to rock the night away. 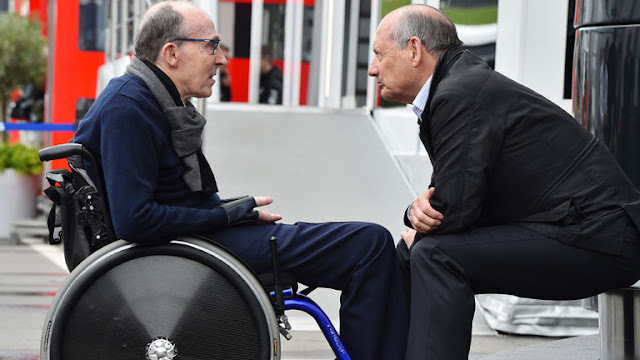 Eddie loves coming to CampingF1 to entertain you and often brings surprise guests. 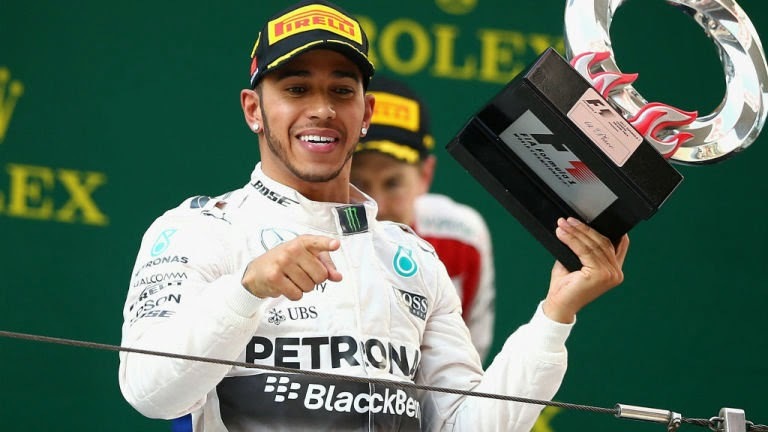 Belgian Grand Prix - After the Formula 1 break in August, we kick things back off with the Belgium Grand Prix at Spa-Francorchamps. Our campsite is in a fantastic position and has facilities to match. 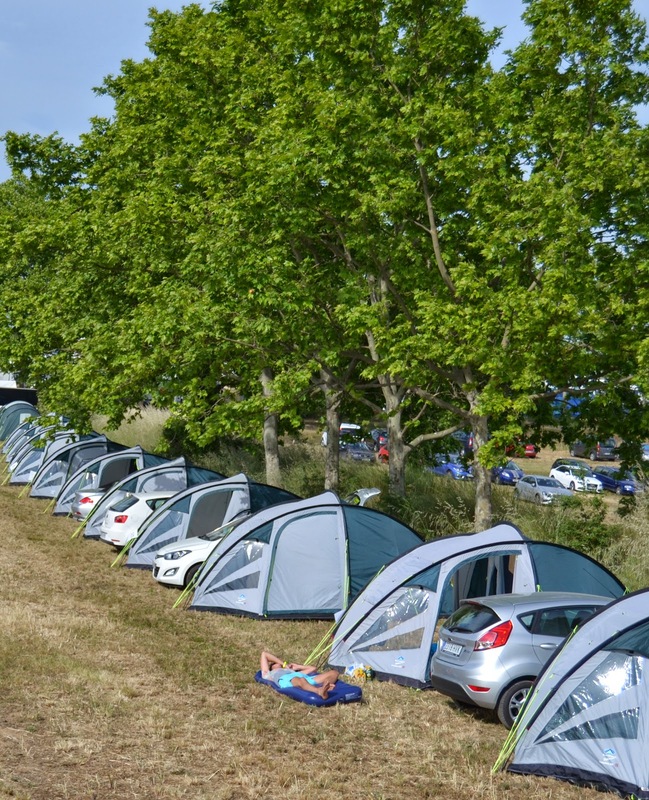 Located just 25 minutes walk north of the circuit, the campsite has easy access routes to both the circuit and the E42 motorway. The large central functions marquee will host the bar, catering and live entertainment. 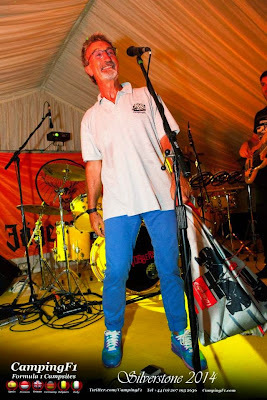 On Friday night, Eddie Jordan and the Robbers will be on stage, keeping you all entertained. 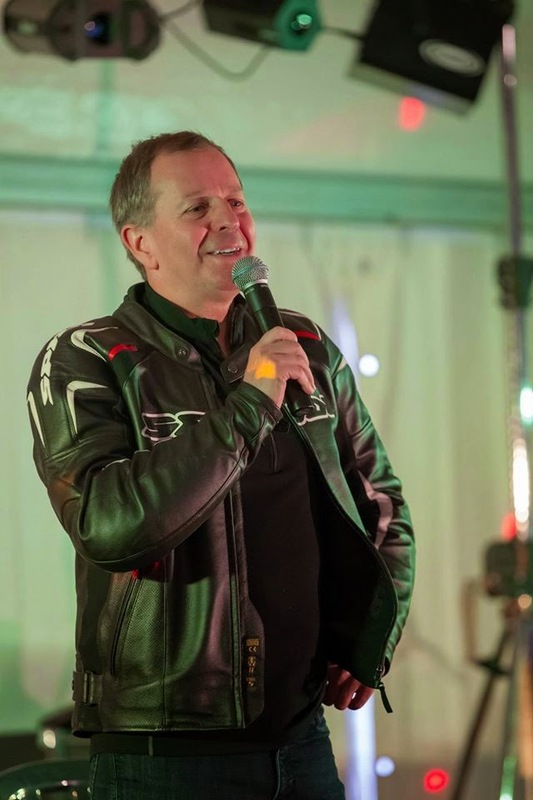 Formula 1 legend Martin Brundle will join us on Saturday evening to give you a short talk and answer your questions. 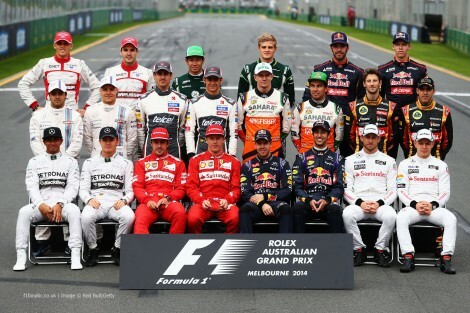 Italian Grand Prix - Finally we head to Monza for the last of the European races. Located in the grounds of a restaurant, 4kms from the circuit, this site is exclusive for pre-erected tents. 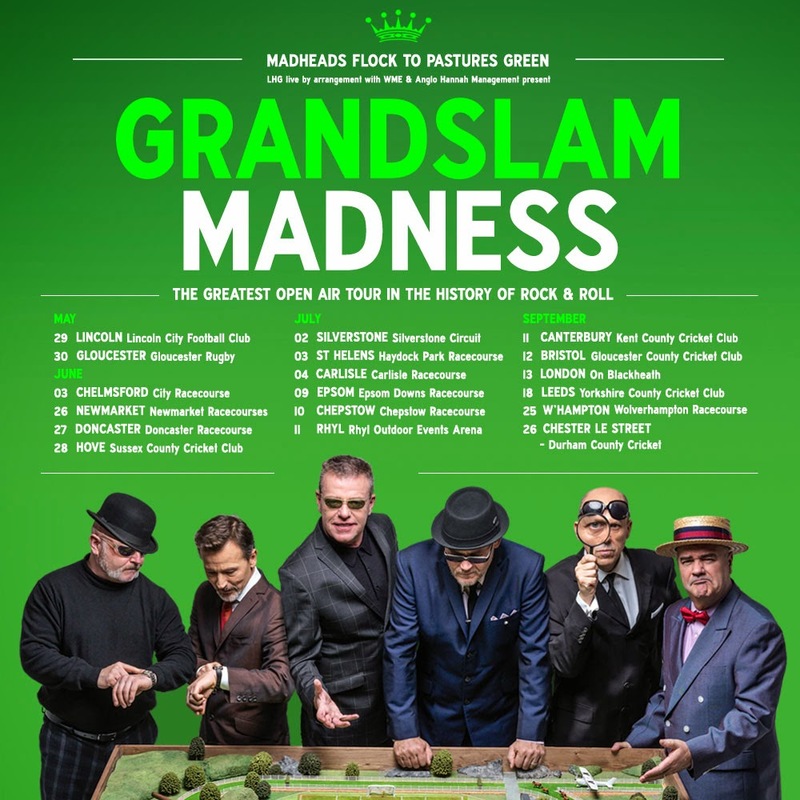 This site offers evening entertainment that in the past has included music from Chris Andre and meet and greets with Formula 1 celebrities such as Jake Humphrey and Martin Brundle. Visit our Facebook Page for all of our latest offers! 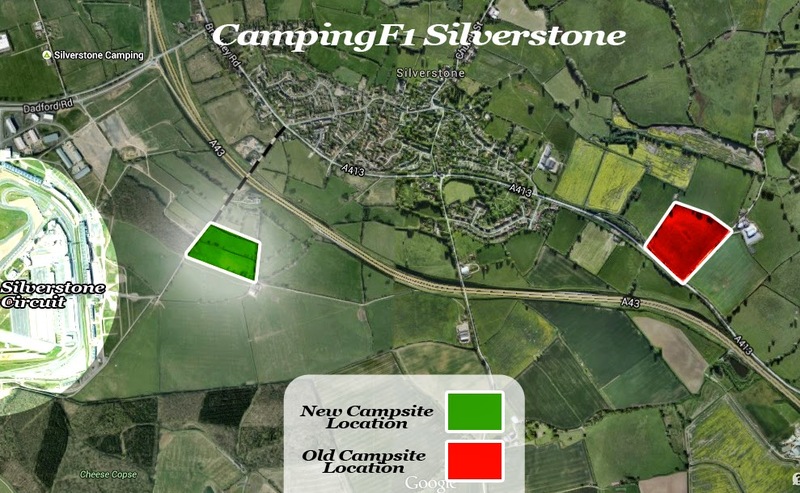 We have moved our Silverstone Campsite closer to the circuit. Only a 3 minute walk to the circuit, the campsite is right next to the action. 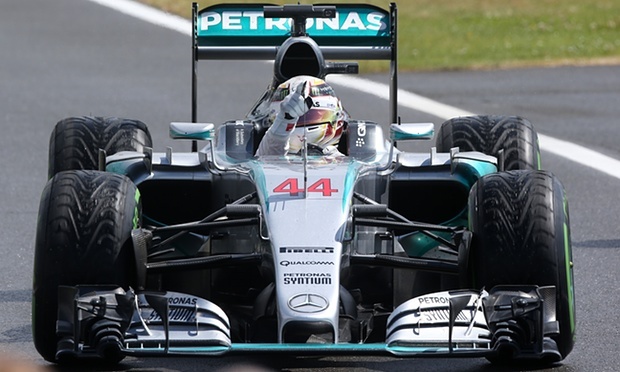 Visit our British Grand Prix site for more information. Our Belgium campsite is now also closer to the race circuit. 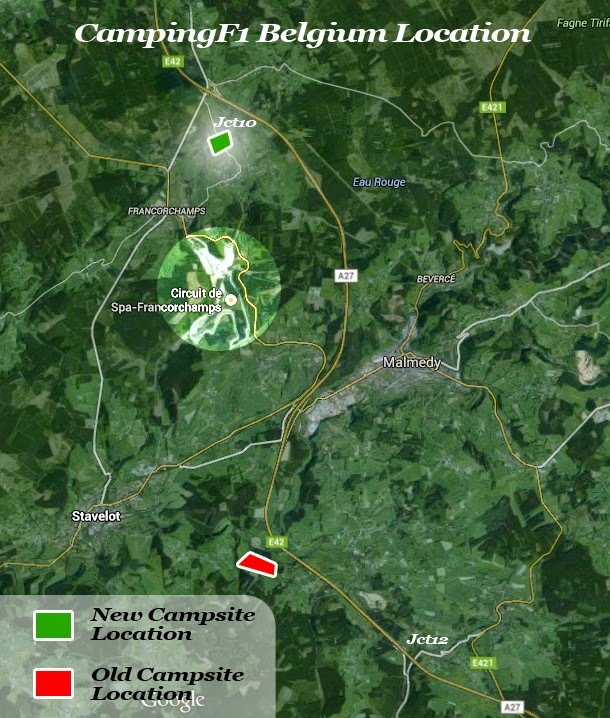 Situated North of the circuit, only a 25 minute walk to Entree Ster. 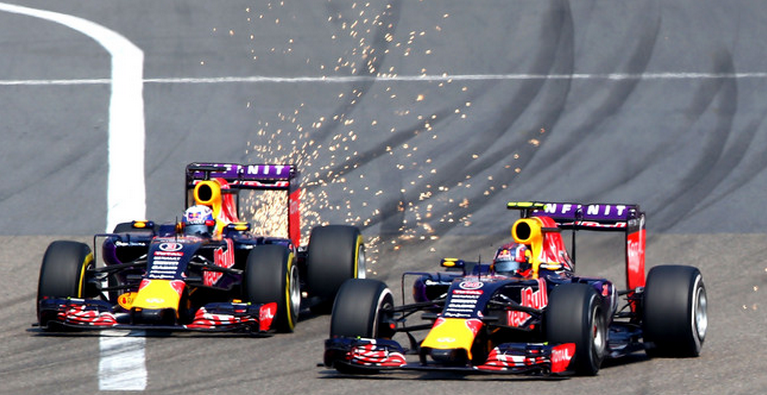 Visit our Belgian Grand Prix site for more information.